At Secondwind Water Systems, we’ve worked very hard to become the region’s leading provider of residential and commercial water treatment systems. A big part of our success is the people behind every system we design, install, and service. In this month’s blog article, we introduce you to the two Secondwinders who lead our very talented team of water treatment system technicians. As you can imagine, a lot goes into designing and installing a home water treatment system. If anyone has any questions about a particular project, they just ask “Steve.” Chances are, Steven Savary (pictured right in feature photo), supervisor for Secondwind’s install department, or Steve Brow, service supervisor, are going to have the answer. “The two Steves” have been with Secondwind for a combined 17 years. Savary, who has an extensive commercial plumbing and construction background, makes sure Secondwind’s water treatment system technicians have everything they need for each job. “I review project site pictures and notes and go over everything ahead of time to make sure our technicians have what they need to make the day go as smooth as possible,” he explains. This might include a special type of tool, equipment, or technical knowledge. Brow, a self-proclaimed “training manual nerd,” makes sure every staff member is up on the latest industry training, techniques, and certifications. “My job is to make sure we always have enough technicians for every installation, and to ensure they have the knowledge and experience they need to succeed” he explains. Brow does much of this training himself—both in the field, and in the classroom. He often draws upon his solid plumbing background, which includes holding a journeyman plumber’s license in Massachusetts. “As mentors and supervisors, our goal is to ensure every technician has the tools they need to provide the best possible service,” Savary says, noting that all technicians are supplied with both tools and a company vehicle. “This is basically unheard of in our industry,” he adds. Ongoing technician training and certification is also a top priority at Secondwind. “We really go the distance to make sure we’re sending out certified, qualified water treatment system technicians to every job we do,” Brow adds. He points out that Secondwind has a dedicated space for hands-on technician training. 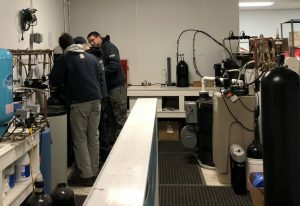 Known as the “Ark” by the Secondwind team, this space allows technicians to assemble different water treatment systems and test them in various simulated situations. “This is quite elaborate and something that you probably won’t see at other water treatment systems companies,” he adds. “With their extensive industry knowledge and experience, professionalism, and passion for customer service, ‘The Two Steves’ have helped bring Secondwind Water Systems to where it is today,” says Ernie Gauvin, operations manager. “A big part of what makes us successful is our company’s commitment to quality and service,” Savary says. “The quality of material we use in our installations is a step above everyone else,” he notes. “And the difference between our installations and those of other companies is like night and day,” Brow adds. 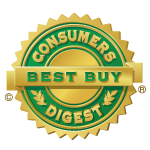 “There’s simply no comparison between how our team configures and installs our systems,” he points out. “I think the bottom line is we all take pride making sure our installs are a cut above and we go above and beyond for our clients,” Savary says. Secondwind Water Systems is the region’s leading water treatment company, in fact 14 of our state’s 16 certified water professionals work for Secondwind. 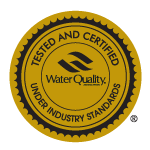 If you think you have a water quality problem at your home, give us a call at 603.641.5767 or contact us online to schedule a water analysis. We’re here to help.